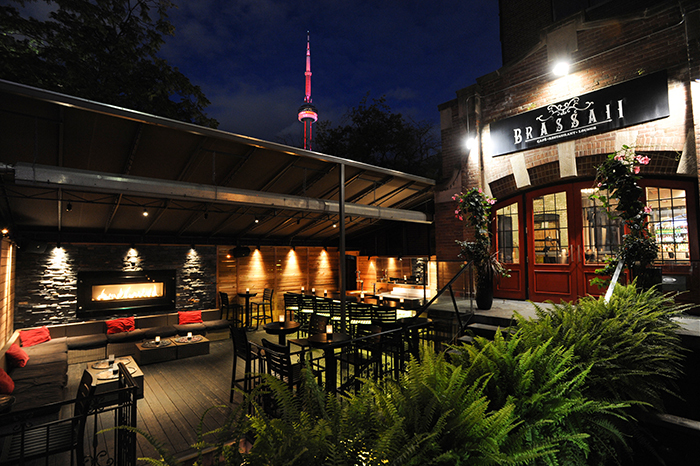 Brassaii Restaurant and Lounge sits covertly through a cobblestone laneway in the bustling core of The King West District. A cobblestone courtyard proceeds into a cedar-heavy, doctor spacious patio with an extended deck, mind banquettes, bar and lavish fireplace. 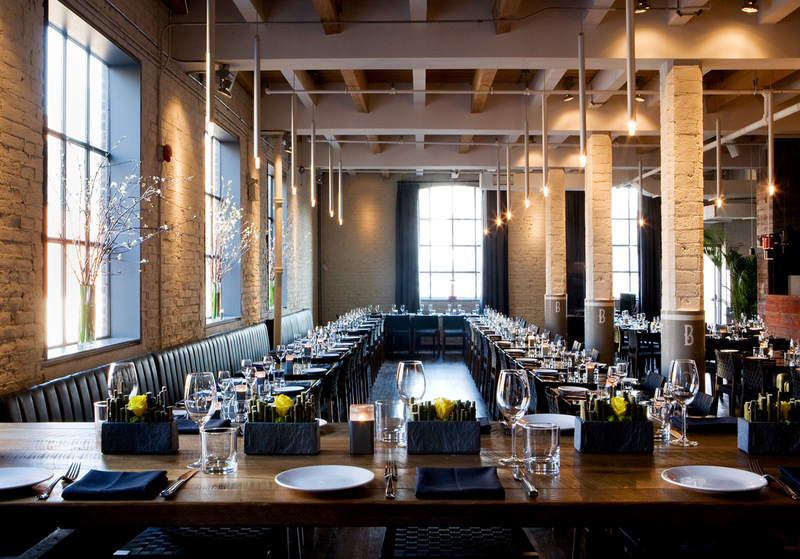 Contemporary spherical lights welcome guests as they saunter through the main door and foyer passing the beautifully restored brick and wood into an airy dining room where the food and service are as well conceived as the space. In turn, this chic and upscale restaurant now represents a dynamic collaboration between historical relevance and modern elegance while maintaining the spirit of the 1933 celebrated photo collection, Paris de Nuit. The cuisine is considered an interpretive take on Mediterranean fare. From elegant canapés to mouth-watering pastries, the menu changes with the seasons to give guests a new and exciting gustatory experience. the focus is on fresh, local, organic ingredients hand-picked by their culinary team. Their involvement in high-profiled events and community outreach speaks volumes for the brand and the staff that work diligently to make every moment exceptional. We cater a wide range of corporate events and weddings including product launches, open houses, grand openings, meetings, mergers and holiday parties. Their services also include floral, DJ, valet, linens and pastry from our Award-Winning Pastry Chef. The space is stellar for events. The Main Dining Room seats 160 for dining and up to 500 for cocktail and is equipped with state-of-the-art AV capabilities. The Library seats up to 80 for dining and 200 for cocktail functions. Located behind large vintage Egyptian wood doors that can be kept open or closed for privacy. It is equipped with state-of-the-art AV capabilities including 3 LCD flat screen televisions, LED lighting, a retractable screen with projector and an independently controlled climate and sound system including DJ and iPod connection. The Study seats up to 24 Guests for dining and up to 40 for cocktail functions. The best part, is the Outdoor patio which s considered one of the largest and exciting in the city. With seating for over 100 guests for dining/lounge and nearly 300 for cocktail functions, excitement in this open-air environment is second to none. Equipped with 2 full service bars, private deck, projection screen, LED lighting and sound system with DJ connectivity, the possibilities are endless for brunch, lunch, dinner, cocktails and late night bottle service. Sometimes You Just Gotta Have a Doughnut!